My goal today was the find Bolt Cutter. I didn’t have any luck even though Founders told me several times the distribution release was today. While they could officially start distributing, it doesn’t look like many places in Kalamazoo actually got. I went to Mega Bev first….but they told me Friday. 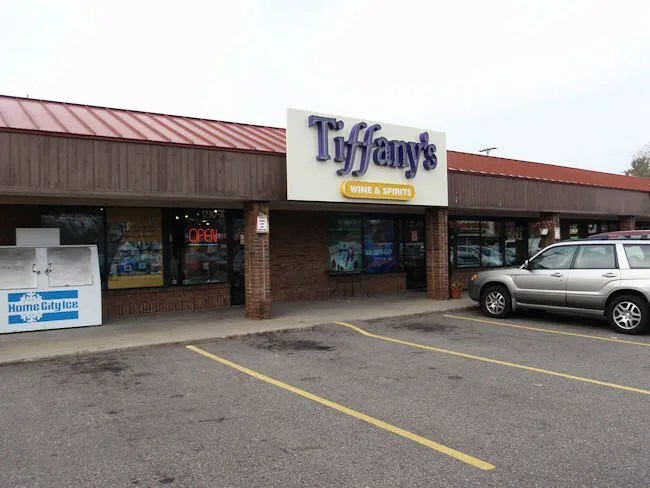 My next stop was Tiffany’s Wine & Spirits farther down on Main. By this point, I knew Drake Party Center had gotten their shipment….they tweeted so…but they pre-sold all of theirs so there was none left. I assumed that since DPC got their delivery, Tiffany’s might have as well. I walked around the store looking for it with no luck, but when I made my way back to the craft beer singles section, I noticed a lot of boxes stacked up like they had just been delivered. I quickly picked out the Founders boxes to see what was in them, but didn’t see one box that said Bolt Cutter on it. I couldn’t find any employees back on the floor anywhere and I decided before heading to the cash register, I should pick up something to eat. 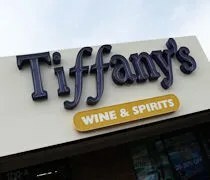 The thing that really separates Tiffany’s from a typical party store is that they have a huge selection of specialty foods (and wines of course). We’ve gone there several times for J’s favorite salsa that she could only get at her parents favorite liquor store (yeah, we don’t call them party stores) in Illinois. Every time we’ve gone in to Tiffany’s, we’ve walked right by the deli without really stopping to look. I was in the store at lunch time and J was at home taking a nap with L. I figured I would bring home a sandwich for lunch since I was there anyway. There was one woman working behind the counter at the deli and I’m pretty sure I interrupted whatever it was she was doing. The sandwiches are available 11 AM to 4 PM Monday through Saturday and I was definitely there during those hours. She kept doing whatever it was she was doing even though she obviously saw me. There was no, “I’ll be with you in a second.” or anything like that. Eventually, I think she realized I wasn’t going away so she turned around and asked me what I wanted. I told her I wanted a Pulled Pork Panini and a Cuban Panini. There was a little bit of a huff then she informed me there was no bleu cheese slaw for the pulled pork. I said that was fine. I would have like the sandwich with the slaw, but it would be ok without it. As I stood there waiting, she told me it would take about seven minutes to make the sandwiches. She came out from behind the deli and grabbed a plastic tub of pulled pork from the coolers. She popped it in the microwave then put some bleu cheese on a kaiser roll before pressing the whole sandwich once the pork was warmed up. This sandwich was for J. She said it was good, but it didn’t knock her socks off. After I told her it’s supposed to come with bleu cheese slaw, she was a little disappointed. She thought that sounded good and probably would have made the sandwich a little bit better. The Cuban Panini was actually for me. 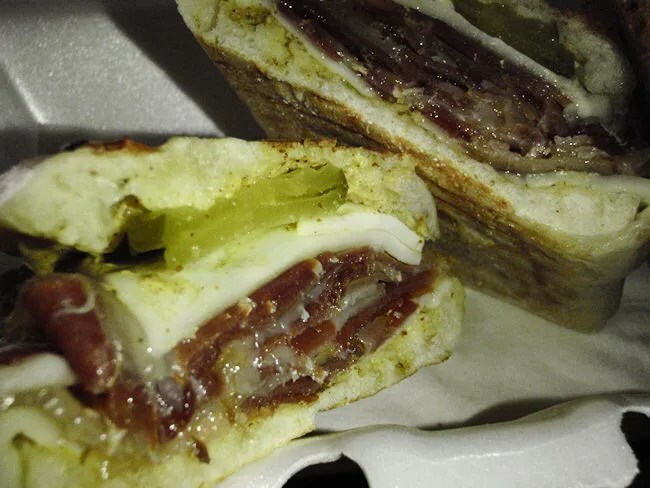 It’s a sandwich with sliced smoked pork, bacon, prosciutto, stone ground mustard, provolone cheese, and pickles on Ciabatta. 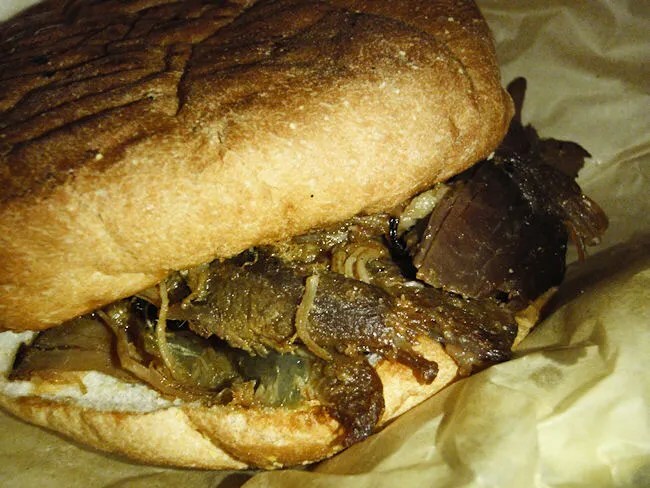 This sandwich was really good. The bacon and prosciutto was kind of surprise. Overall, the sandwich was delicious. 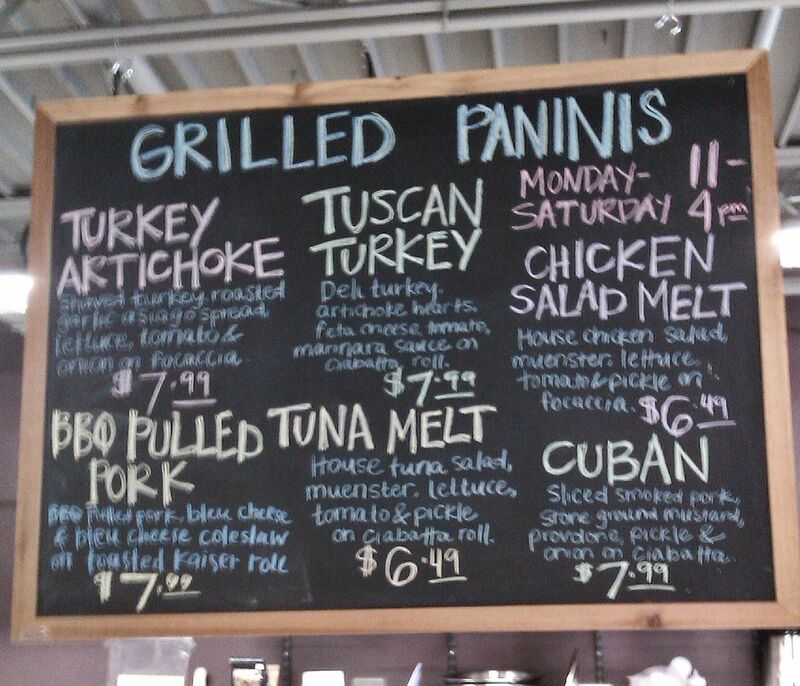 The stone ground mustard and the crunchy ciabatta bread really made the sandwich stand out as delicious. Both sandwiches came with a really large, chewy, and delicious chocolate cookie. After the two boxes were handed to me, I headed to the cooler to grab a Mt. Dew to go with my sandwich. I headed to check out and asked the cashier if they were getting any Bolt Cutter today. She told me they the truck just dropped off several cases of something, but she didn’t know what and didn’t offer to check for me. I asked if there was any way to find out and she said I’d have to call in a couple hours once they started stocking the shelves. I gave up and just paid for my sandwiches. The two sandwiches and a pop came out to a little over $18. My sandwich was really good, but I think J would have liked hers better with the slaw. I’ve been to Tiffany’s several times over the years for different things and have always liked the store. It’s one of my first go-to’s when I’m looking to try out new beer due to their Pick-6. Today’s visit was a little off putting because it seemed like no one wanted to help me. That has never happened to me there before. Usually there’s someone who will ask if I need help finding something as I’m perusing the large beer selection. I don’t know if I hit an off day or what. It’s not enough for me to give up on the place. I enjoyed my sandwich and would consider going back for lunch when I’m in the mood for some new kind of beer. so Did you get the boltcutter or not? You have to ask for it at tiffany’s. It was still there last time I checked. SO far I’ve acquired 11 bottles from 3 different stores in the area. I’ve opened one. It’s fantastic. excellent! Cool website. I want to recommend to you, studio grill for most excellent breakfast food. Located downtown next to theo and stacy’s. The morning skillet is great is a staple.